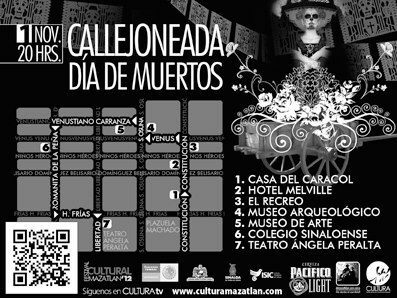 La Callejoneada for Day of the Dead | ¡VidaMaz! Greg absolutely hates Halloween, but Day of the Dead is his favorite holiday here. Go figure! He loves it even more than Carnavál, and that’s saying a lot. 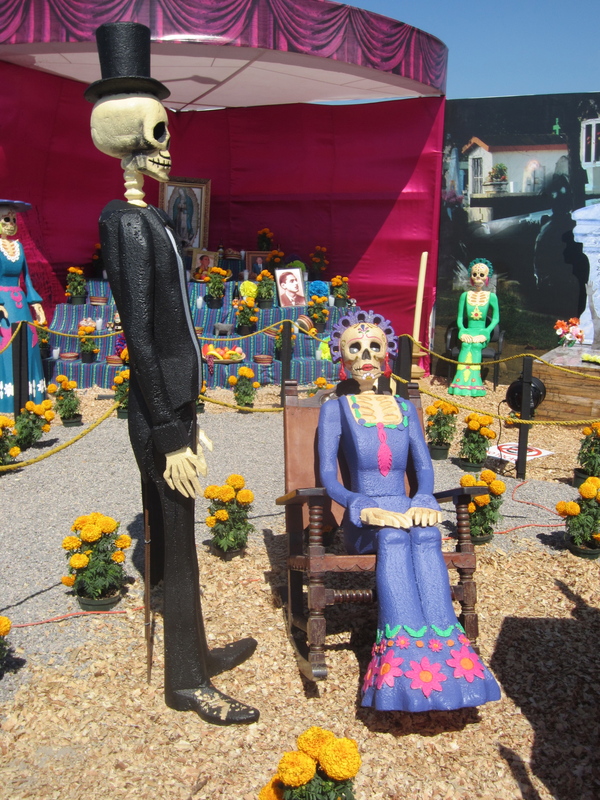 His favorite part of Día de los Muertos festivities is the callejoneada, the parade that winds through the narrow streets of the Centro Histórico. This year I had fun putting together a “scary movie trailer”-type video (above) to commemorate the event. I hope you enjoy it! 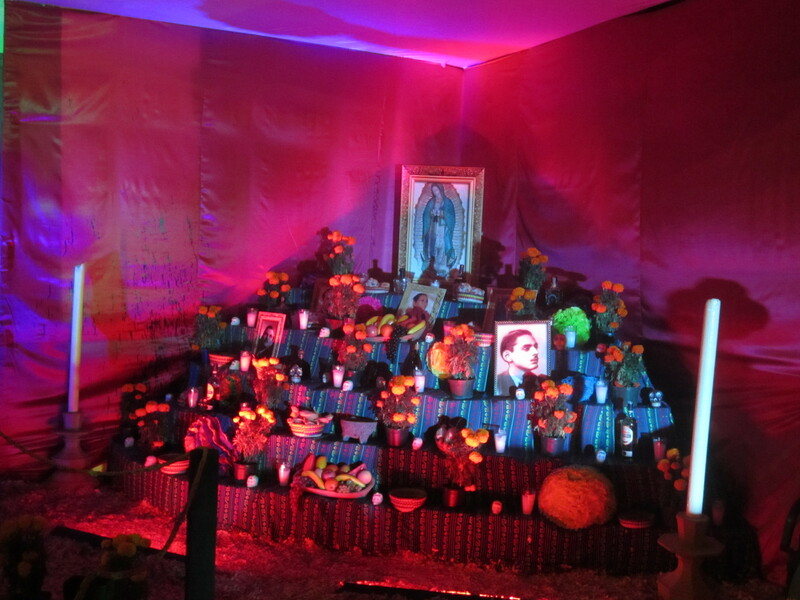 I’ve written a few posts about Día de los Muertos here in Mazatlán. This year there were a few things different, of course. One was the gorgeous, colorful katrina costumes in the callejoneada. They were breathtaking! You can see them in the video above. Many of them actually lit up, which was extra cool! 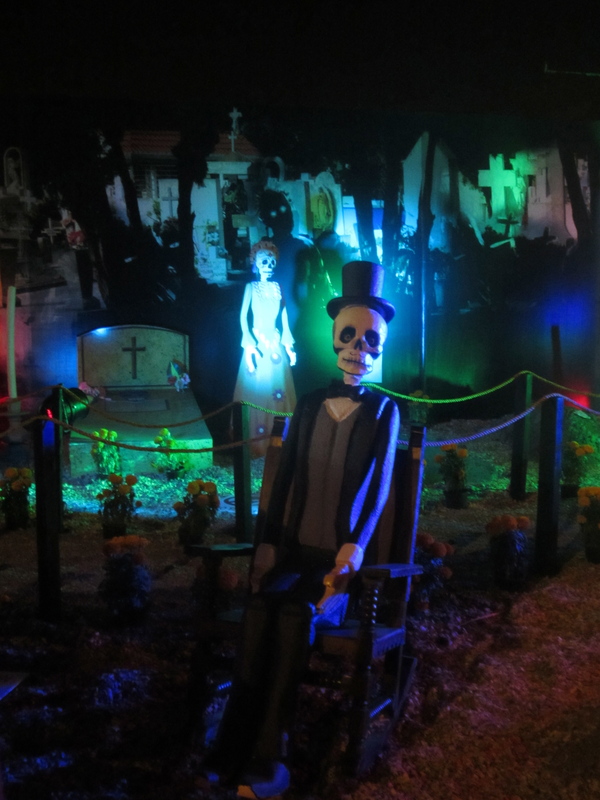 Another new development we noticed is that the print shop just down from us put up a big outdoor walk-through Day of the Dead display, complete with life-size katrina statues and a large altar, all lit at night. At the bottom is the map of this year’s “official” altars that the Katrina visited last night during the callejoneada in order to accompany the dead to the other world. We were there. Walked the entire route. Was one of the best most memorable experiences we have had. Mazatlán is a wonderful place! So glad you were able to join us and share in the excitement! Thank you for sharing. And so glad you had a great time! So many of us absolutely love it here. We trust you’ll be back soon!